Sometimes, you just don’t want bread. I love a cheese steak as much as the next person, but in all honestly, it’s the stuff between the bread that is what I want. The bread is just an after thought. I honestly can’t even tell you if I’ve ever noticed the difference in what types of bread different sub shops use. It’s all just a long roll holding the good stuff to me. I wanted to make cheese steaks for dinner but I didn’t want the bread aspect. I thought for a bit and then realized I could easily turn this into a form of stuffed peppers. Tom is not a fan of them and it just so worked out we had extra sub rolls in the pantry from a previous meal. I made all of the filling and stuff mine into bell peppers and saved his for a toasty roll. 2. Heat the olive oil in a skillet and cook onion and mushroom for 3-5 minutes or until softened. Add the garlic and cook 1 minute more. 3. Add the Worcestershire sauce and roast beef. Cook for 1-2 minutes more or until heated through. Season to taste with salt and pepper. 4. Place one half of each cheese slice in the bottom of each bell pepper. 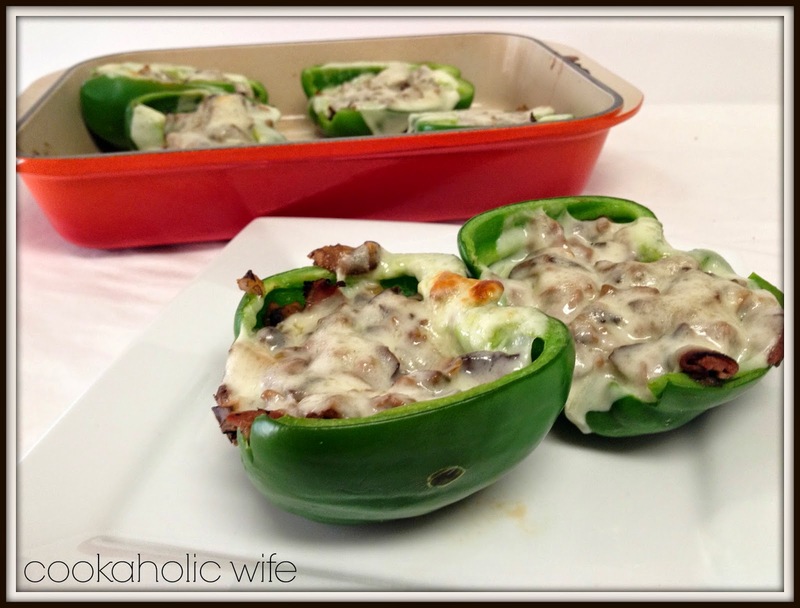 Divide the onion/mushroom mixture into each bell pepper and top with each with the remaining half slice of cheese. 5. Place each bell pepper into a 9×13 baking dish and bake for 35-40 minutes or until cheese is melty and browned and bell peppers are softened. These were so tasty! 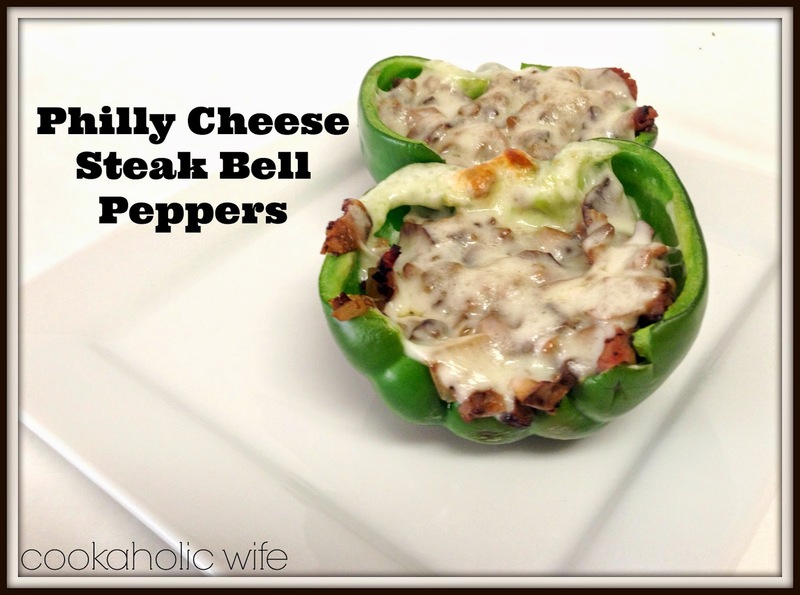 I’d much rather have a cheese steak like this than on a roll any day! I had the leftovers for lunch for the rest of the week and this is just as good the first time as it is microwaved the next couple of days. Mmm this looks perfect to me! I would have to do the same for my husband!